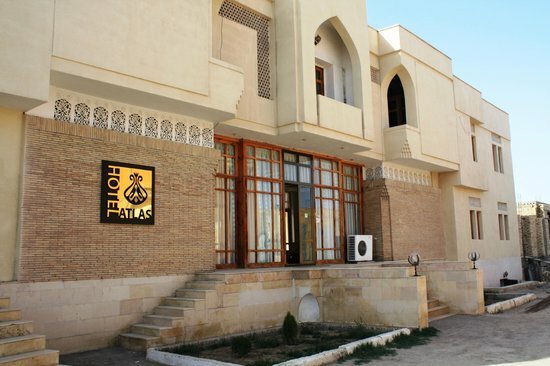 Sunshine Uzbekistan is rich in vivid stories, folk tales and the most exciting legends. Stories of immortal and eternal of love, legends and myths about mausoleums and the prophets, great rulers and famous towns and villages. A lot of legends about our great and captivating Uzbekistan. When God began to spread earths among the peoples of the world, kind and polite Uzbek missed everyone in front of him and approached the Almighty with a past. And the Uzbeks replied to the Almighty that he gave way to all who wanted to go forward. One of the legends about the most beautiful fabrics on Earth the Khan-Atlas. Khan wanted to marry for the fifth time and without thinking, decided to marry the daughter of a poor weaver. Long time he persuades daughter to marry him, but the father of the daughter had refused him. Then the Khan said: “If you create something the most extraordinary and beautiful, then I’ll leave you and your daughter”. The poor old man was sitting by the water, and soon after the rain looked in the water reflection, and saw an amazing picture. There were beautiful clouds in the water reflection. Then the old man ran home. He worked hard over his treasure, and in the morning ran to the house of Khan. Khan was in awe of such an amazing fabric, and decided to find out how he did this indescribable treasure. Then the old man told Khan his secret, and Khan decided to give the daughter of a weaver married his beloved son. The legend about the great minaret Kalan in Bukhara. Once there lived a cruel king, and he was so severe, that all the guilty were thrown from the tallest minaret. But he had a very clever wife, and all the works of Shah passed by her. When the Shah knew about his wife, he was very angry and decided to throw her off the tallest minaret. The last wish of his wife was to wear all her dresses. The Shah agreed and when she jumped, her dress puffed up a parachute and helped her to land softly. After this brave act the Shah pardoned his wife and cancelled the penalty.